Looking for a bowl of curry udon to warm your heart and soul - without the queues? 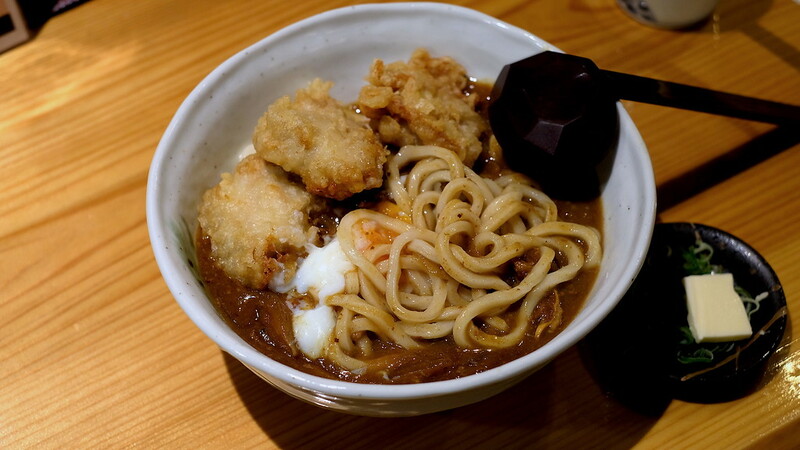 When you're near Osaka Castle, head just slightly further afield to Udon Ippuku in Tanimachi Yonchome. I do not love curry udon at the best of times. Most are too gloopy and thick, with a sauce straight from a packet mix. I have always thought that Japanese-style curry pairs better with rice than wheat noodles. I like cold noodles better and wheat noodles tend to lose their textural integrity faster just by being in hot broth for a shade too long. And, of course, you will rarely find curry udon served cold, because the point is to eat it hot and warm yourself from the inside out. It's hard to find a bowl of curry udon that I actually like enough to eat a second time. Luckily, at Udon Ippuku I was able to swallow my words - along with a rather delicious bowl of curry udon. 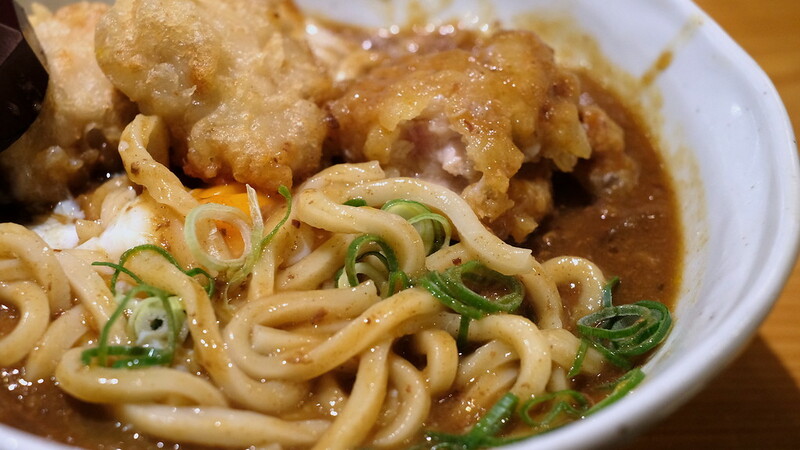 What makes Ippuku's curry udon better in my book? The curry tastes like someone put hours of love into this: plenty of sliced onions - the base of any good Japanese curry - cooked long and slow until meltingly sweet, a goodly amount beef slices stirred in, an umami depth from dashi and soy sauce, a gentle pepperiness to the whole affair. It will not be spicy. If you want, shake in some shichimi pepper. You have a choice between 50g or 100g of noodles. Unless you haven't eaten for 3 days in a row, 50g of noodles is plenty. It's a very full bowl. They even give you a small slice of cold butter alongside to melt into the curry! But if you want to be extra about this - and why wouldn't you? 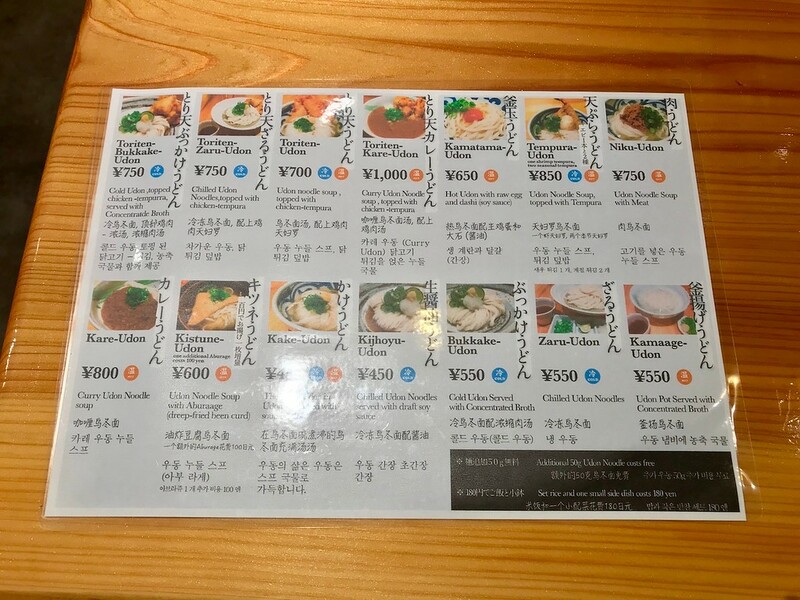 - you should also order the onsen egg. It automatically ups the ante on any noodle bowl, and here, mellows out the curry, making it a little richer than before. 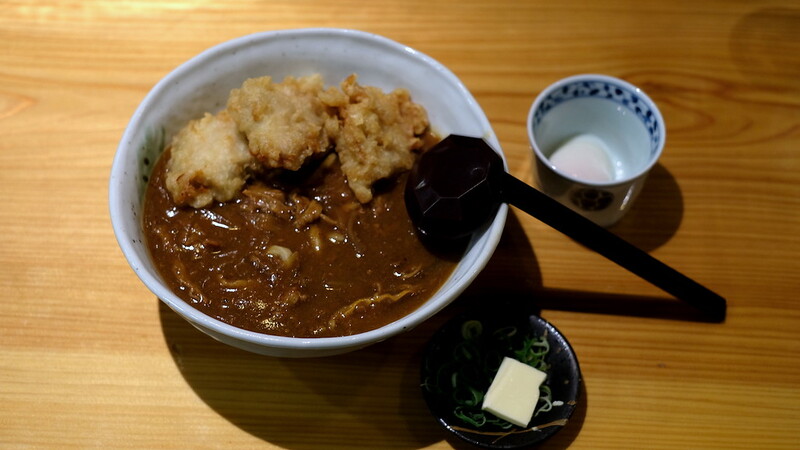 Even if you aren't sold on the curry, you should at least order some toriten (chicken tempura.) It is, in my book, superior to karaage or plain old Japanese fried chicken. When eaten at that halfway point between curry-soaked sogginess and crispiness... Huge chunks of juicy chicken thigh coated in craggy tempura batter should be a staple in everyone's diet. A word of warning: eating curry udon is a messy endeavour. 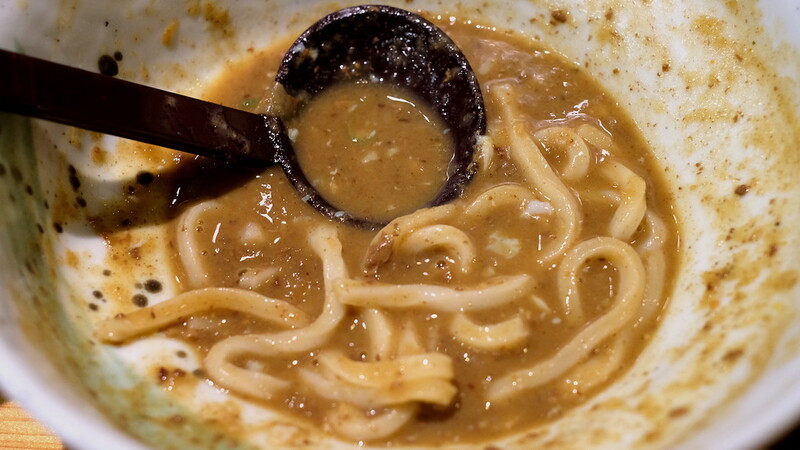 Even if your slurp game is strong, you will almost certainly splatter curry all over yourself. If you're wearing glasses, expect them to be flecked with sauce by the end of the bowl. There's a reason they'll offer you a paper apron at the start of the meal. Incidentally, I also found Ippuku a great place for people-watching. Counter-style seating in this case meant sitting at a large table opposite and alongside other strangers, all of us slurping noodles together. Is it in poor taste to admit that I like watching other people eat? Perhaps. Almost all of us at this table were eating alone. Pretty much all were office workers on their lunch breaks. One diner turned his phone face down before attending to his noodles; another ate steadily, methodically, adding different garnishes every few slurps. Only one person had his phone out on the table beside him to flick through the news, and even then, the noodles took precedence. I watched him lift a few strands at a time with his chopsticks, pulling them up with each slurp to help them into his mouth. The noodles here are good and deserve to be eaten with concentration and reverence. Ippuku does not specialise in curry udon, per se. 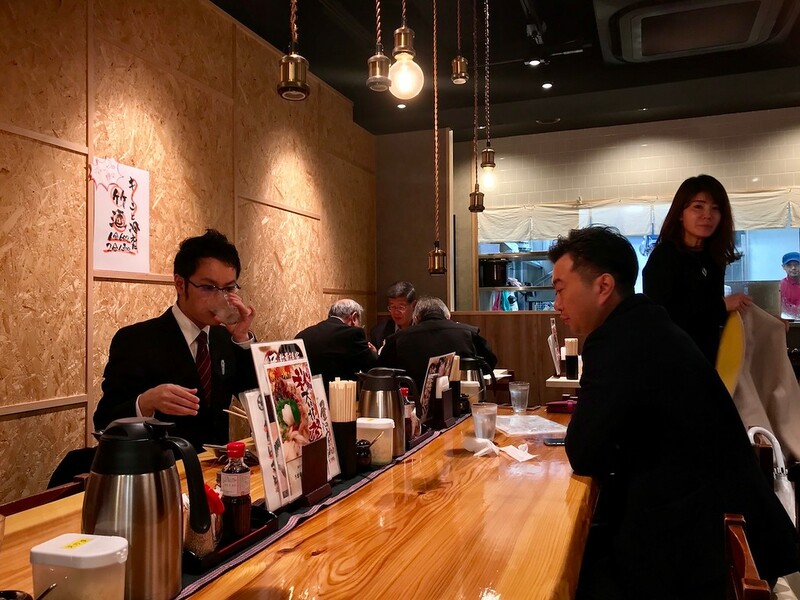 They're an udon joint which just happens to serve some bloody delicious curry udon, and if the quality of this is anything to go by, their other udon dishes will be great, too. 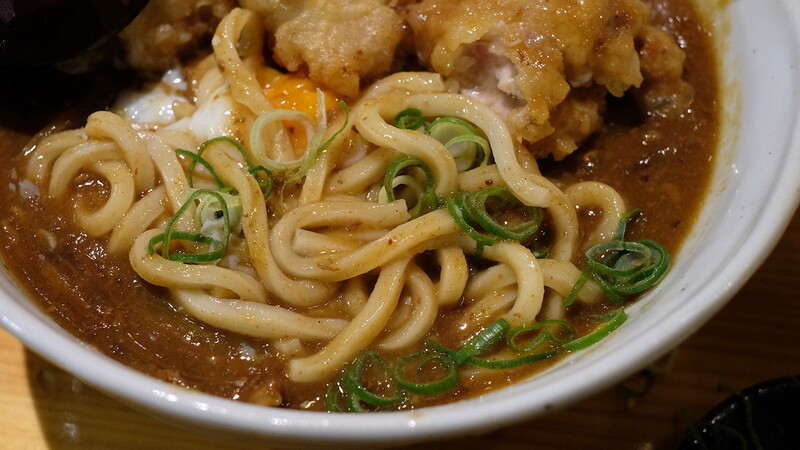 Tokumasa Udon is the more well-known curry udon specialist in the area, and it's conveniently located right outside Osaka Castle Park. It is famous enough to have a queue at lunchtimes, and therefore worth avoiding - for me, anyway. Give me lunch at Ippuku any day. Directions: Take Exit 3 of Tanimachi Yonchome Station. When you're above ground, you should see a Monaco on your left. Turn left, walking south, with Monaco on your right and the road on your left. You'll pass a McDonalds. At Lawson's, turn right. 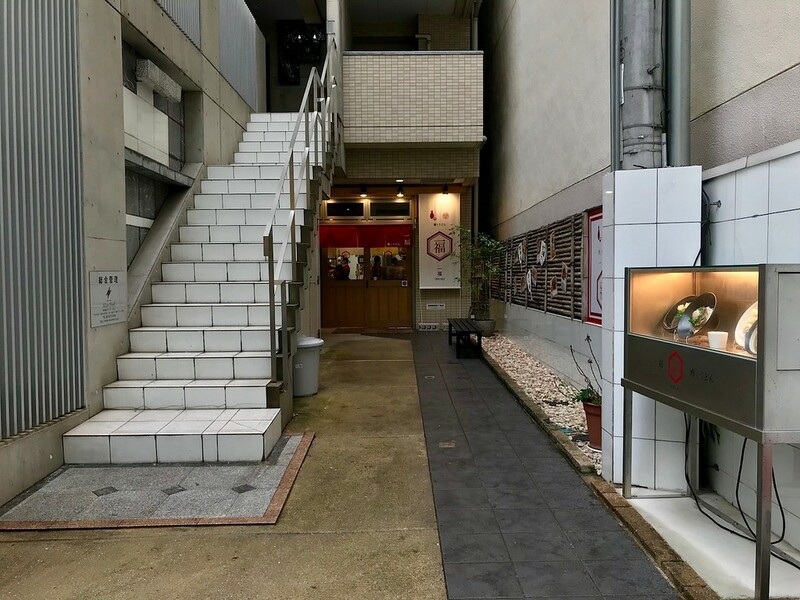 Ippuku will be on the ground floor of a building to your right just after a few seconds walk.